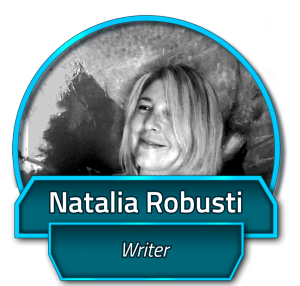 My name is Natalia Robusti, born in 1963, and I have always written by vocation, passion and profession. I am particularly competent in what is called persuasive communication. And since language has always had a strong connection with points of view, one day I decided to take on a stranger, writing a fantasy novel: Albedon: The Lands of the Motherless. The bet? Convincing – or rather persuading – the reader of the plausibility of the existence of an other world. How long have you been working in the games industry? Have you worked on any other titles before Albedon Wars? I didn’t think at all of working on a video game, but only of writing a trilogy, of which I only published (for now) the first book. The initial idea came from a first question: why is it that every misfortune feared on earth is always imagined in retrospect, inserted in the frame of an after world in which everything that was before suddenly disappears, so that the survivors have to start again? The second question was: what about before? What rules were given to them, those men in the making, and on what beliefs were their hypotheses of survival based? This is how the idea of creating a comet (Albedon, in fact) was born, which, in its cosmic and apparently imperturbable wandering, disrupts the cards on the table in more than one planet. What is the idea behind starting a game such as Albedon Wars? Everything could also end here: a writer has an intuition, studies, writes and publishes a book. Except that, along the way, Albedon intercepted another planet: the Firemill Games development studio. And here a part of the comet’s tail came off and fell on another planet, giving rise to another story, that of the video game. That’s how Albedon Wars was born, and… of the story I won’t say anything else, not even under torture. To know how things are going to end, you’ll have to play! Beyond the initial idea of the story, my role is and has been to write the texts. It was my first time in this role and it was a challenge I couldn’t resist. The screenplay for a video game offers narrative opportunities that are impossible for other communication mediums to achieve, even if it is not without its difficulties. My bet was on the dynamism, variability and customization of the story. This is not only based on the world narrated and its rules, but also depending on the protagonist selected by the player and his own choices during the game, which responsibly influence the flow of the story and the video game below. If I had to identify the creative and technical opportunities and needs that I have intercepted in this activity, I would say that the issue of the final is the most interesting. Especially for a traditional writer.